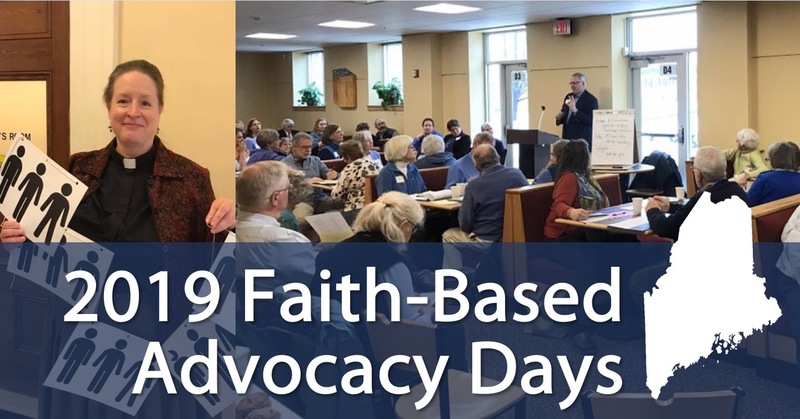 Monday, March 25, 8:30 a.m. - 4:00 p.m.
Meet at the Unitarian Universalist Community Church, 69 Winthrop Street, Augusta. Tuesday, March 26, 8:30 a.m. - 1:00 p.m.
Meet at the Cross Café in the Burton M. Cross Building adjacent to the State House. All meeting spaces are accessible. Cost is $25 and continental breakfast and lunch are included both days. For those for whom this cost would be prohibitive, we are happy to provide scholarship assistance. To request a scholarship please call 207-772-1918. For those who are able to afford more than $25, we would gratefully accept your donations to help us defray costs.